I already have Pop Menu Magic. Fully Adaptive -Automatically re-orders root menu items as page space permits—no need to limit or worry about the number of root menu links! 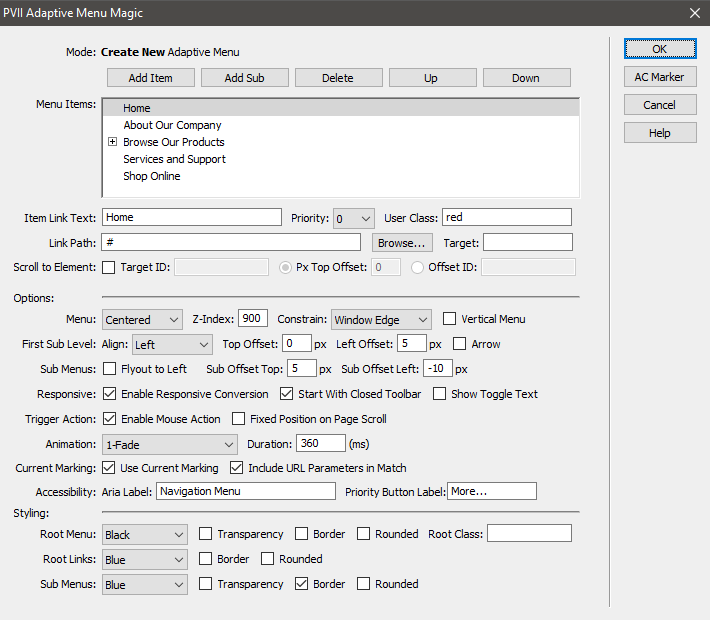 Easy user interface based Styling options allow you to set the styling for root menu, root menu links and sub menus with just a single click. Choose from 20 distinctive styling themes in each of the three styling categories for over 6,000 possible styling options!